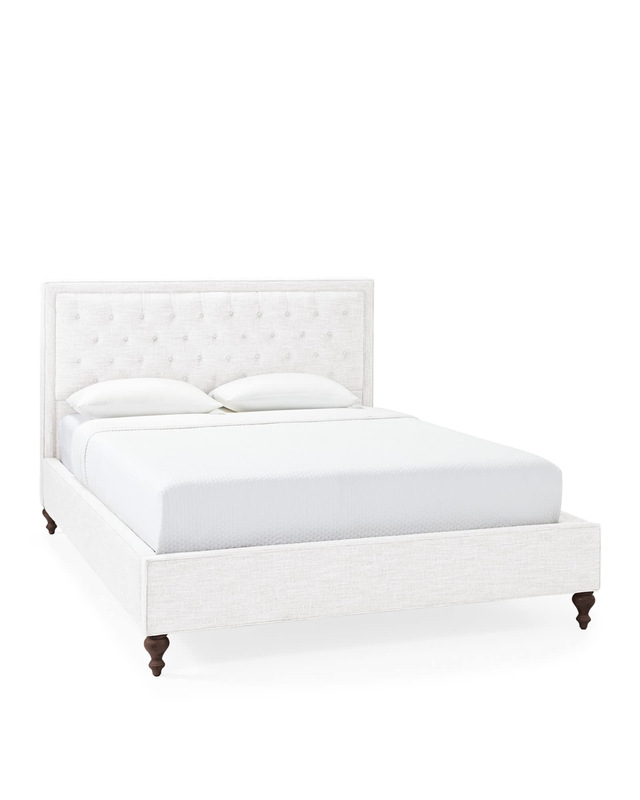 Fulton Tufted Bed with 48" HeadboardFulton Tufted Bed with 48&quot; Headboard, alt="Fulton Tufted Bed with 48&quot; Headboard, "
Print The defining detail of this bed? Its beautiful button tufts. Ever-so-sophisticated, it nods to tradition but still feels fresh. A great way to elevate the room. Twin: 45”W x 83”D x 60”H. Full: 60”W x 83”D x 60”H. Queen: 67”W x 83”D x 60”H. King: 84”W x 83”D x 60”H. Cal King: 80”W x 92”D x 60”H. Side rail: 15”H from floor.